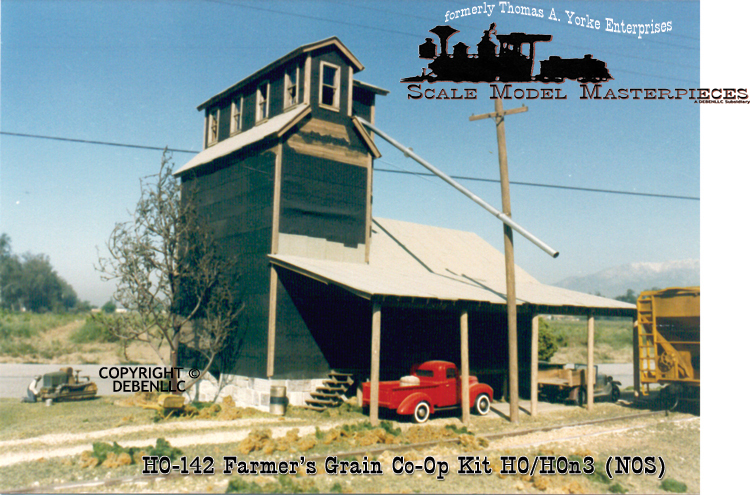 This kit comes with the NOS Thomas A Yorke Hydrocal castings including a very nicely detailed one-piece cardstock roof section and plans for separate platform and steps. The window and barrels (not shown) are Grandt Line product molded plastic. And yes, Doctor Ben's Weathering look's good on the roof. 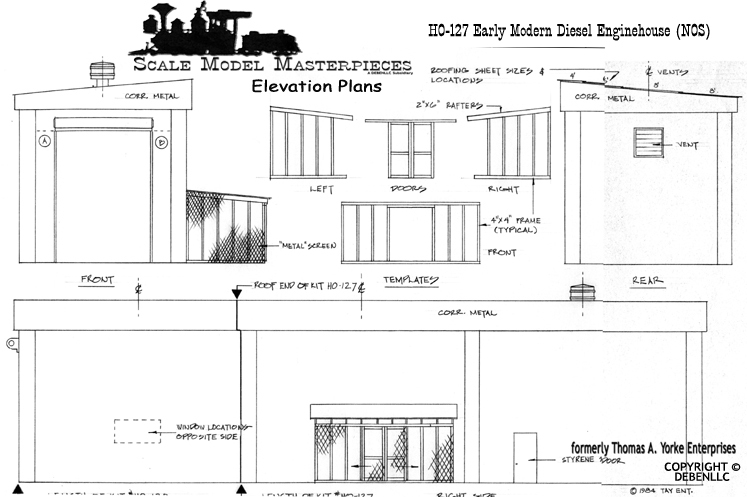 Directly below are the Elevation and Isometric Views of this kit. Instructions are full-size sheets and included is a color photograph! 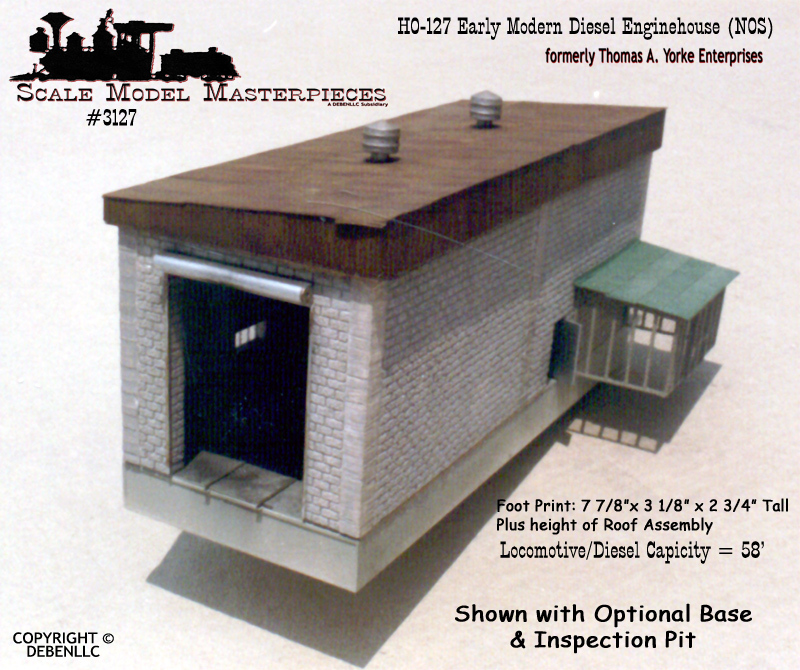 Does the thought of "scratchbuilding the roof & foundation/inspection pit discourage you from purchasing this kit? Not a Problem! Read On! 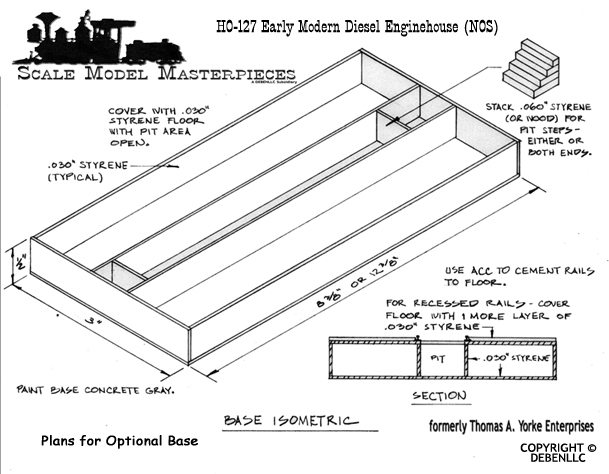 Optional BASE/PIT KIT Kit #127 Includes Precision Cut Roof Material, Base Material, SMM Cast LabStone Inspection Pit, & Color-Cast Deck Plate.